Onion is one vegetable that does not only gives a yummy taste, but even makes you cry. You just count the number of times you have cried while cutting onions. No matter what you do, they just can’t stop bringing tears to your eyes. The scientific reason behind why onions bring tears is that onion absorbs sulphur from the earth and form a group of amino acid sulfoxides. When you cut the onions it releases sulfenic acids that cause an irritation to the eyes and naturally you tend to cry. So blame the acids that onion releases which make you cry. 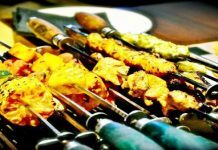 However, before cutting onions if you leave them in water or cut them in running water, then the pain which will make onion cutting a pleasing task. Refrigerate the onions 10-15 minutes before cutting and say goodbye to teary eyes. 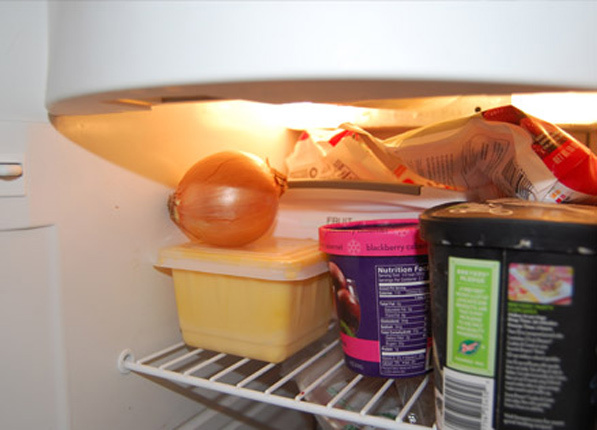 The acids evaporate in cold onion and this will reduce the irritation if you want, you can refrigerate them 30 minutes too, but never freeze them. 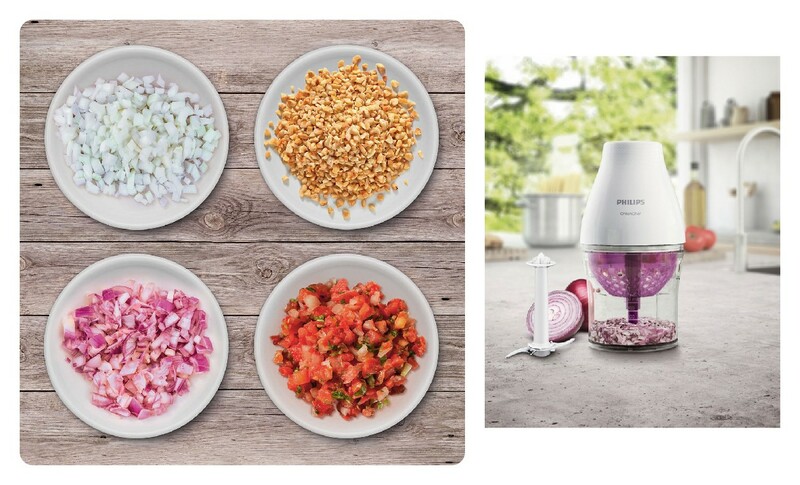 Technology makes our lives easier, you can count upon the famous and uniquely designed The Philips Onion Chef Chopper. Recently we tried Philips onion chef to chop onions for some paneer recipes and the results were super relaxing. It has Chop drop technology that can easily cut onions and other dry veggies in optimal size. It has a powerful 500W motor and high speed, stainless steel blade with two functions – coarse and fine that will perfectly chop the onions and avoid teary eyes. Just cut your onion in half and voila Philips onion chef chopper which has an automatic speed selection that will effortlessly cut your onion as you want. Did you know that sticking a piece of bread in your mouth will reduce the tears in your eyes? The acidic fumes from the onions get absorbed into the bread and tada you will never suffer from the tears. Do check these eye exercises if you are computer addict. 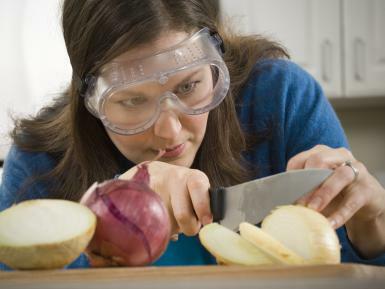 This is the best way of protecting your eyes from the fumes of onions. While cutting your onions wear your swimming goggles and chop the onions, swimming goggles will cover your eyes completely and avoid the fumes entering your eyes and causing irritation. Before cutting the onions rub the knife with lemon juice as which will prevent the acids of onion to react with your eyes and avoid the teary eyes. 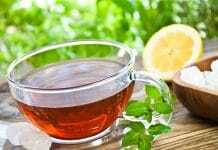 Make sure you rub the knife with lemon juice after several cuts. 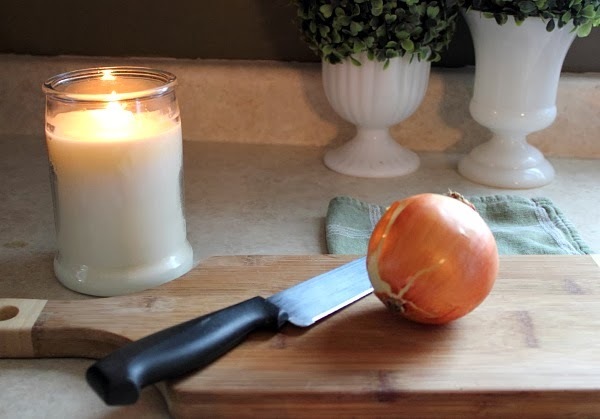 Weren’t these easy peasy tricks to prevent teary eyes from the onion? Tell us your favorite trick in the comment below.